Car repair has a reputation of being stressful. The team at Convoy Auto Repair strives to change the way you think about auto service. From the moment you walk through our door, we are doing our best to ease your worries completely. If you need to be somewhere, our shuttle service can take you there. If your Infiniti needs to be towed, we can arrange a towing service for you. We also encourage our clients to relax in our clean, quiet, and comfortable waiting room. Let us turn a bad situation into a good one. The auto industry is always changing. We embrace change by making sure our technicians continue to attend training classes and our equipment and technology is continually updated. We service your Infiniti with only the highest quality tools, equipment, and technology. We like to think of Convoy Auto Repair as one in a million. We boast an array of esteemed awards and certifications, the highest quality tools, technology, and equipment, and an unmatchable care and loyalty for our customers. 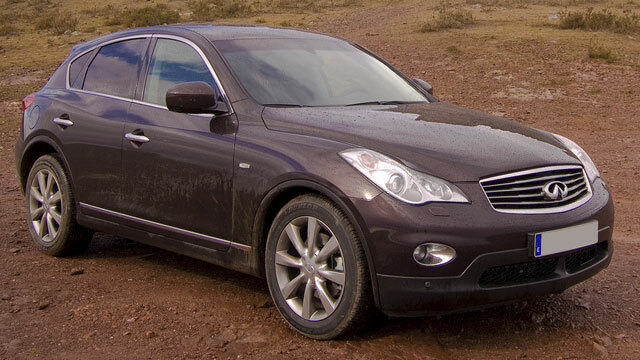 To schedule an appointment at Convoy Auto Repair for Infiniti service, call us. We are located at 3909 Convoy Street in San Diego.